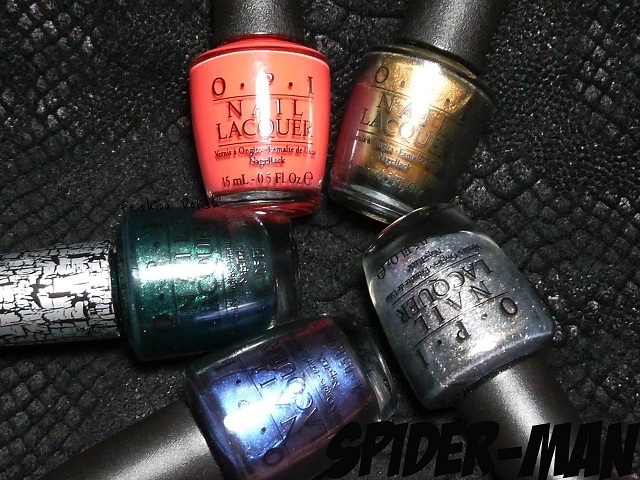 I've really been into the OPI collaborations lately and I'm pretty much sold on anything Marvel so it's absolutely no surprise that I was super excited about the Amazing Spider-Man collection! Your Web or Mine? The perfect pink for sticky situations. Into the Night This perfect midnight blue was made for prowling. Call Me Gwen-ever Girlfriend, be sure to pick up when this urgent coral calls. Number One Nemesis Show your metal in this sparkling nickel. Today I have all but 2 to share with you girls. 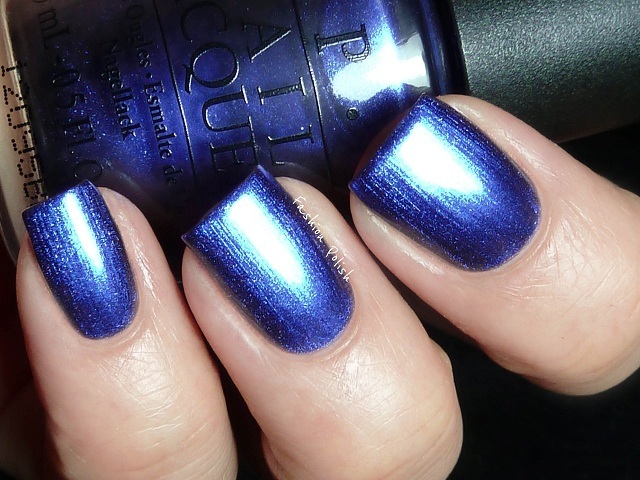 Into the Night is a dark blue shimmer leaning purple that is almost metallic. 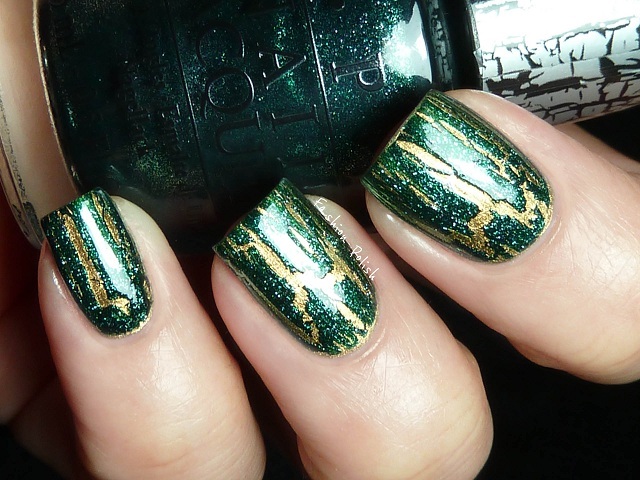 Formula was a bit on the thin side and I used 3 coats (no topcoat) in the swatches below. 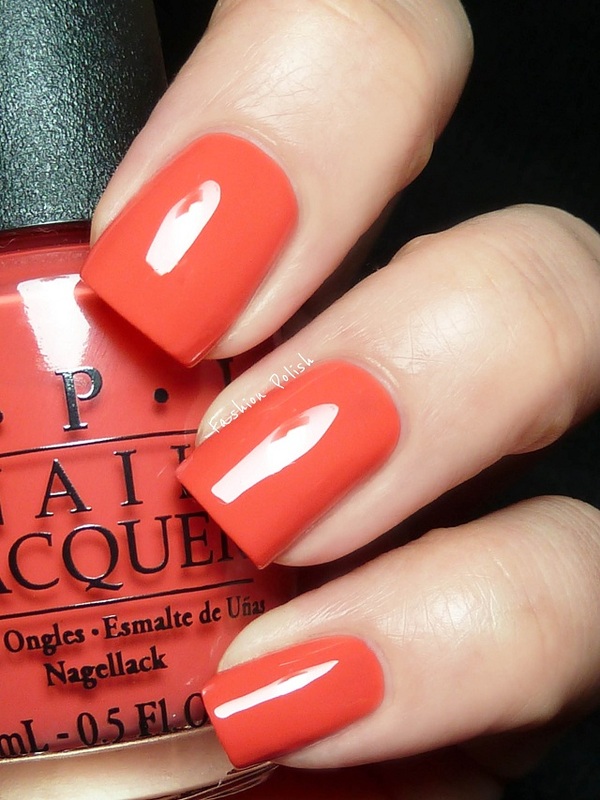 Call Me Gwen-ever is a beautiful orange creme with a touch of dustiness. It's muted and very different from the other oranges released lately. Formula was very nice, 2 coats plus topcoat here. 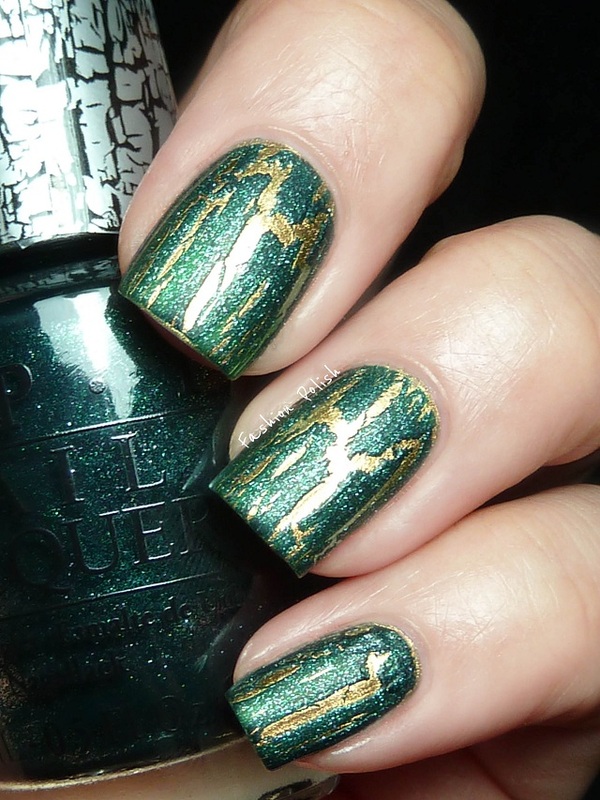 Just Spotted the Lizard is an antique gold to green duochrome shimmer. 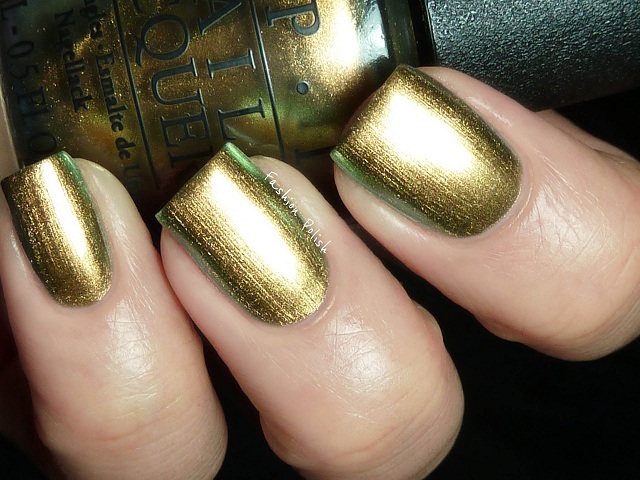 Pretty much a Chanel Peridot dupe for a much more reasonable price. Love it! 2 coats here. Number One Nemesis is very difficult to describe. Overall grey with touches of gold, almost pewter looking. Depending on the lighting it will appear warm or cool toned, I've even seen hints of olive green. My favorite from this collection or should I say a "love at first stroke" polish LOL. This is 2 coats plus topcoat. 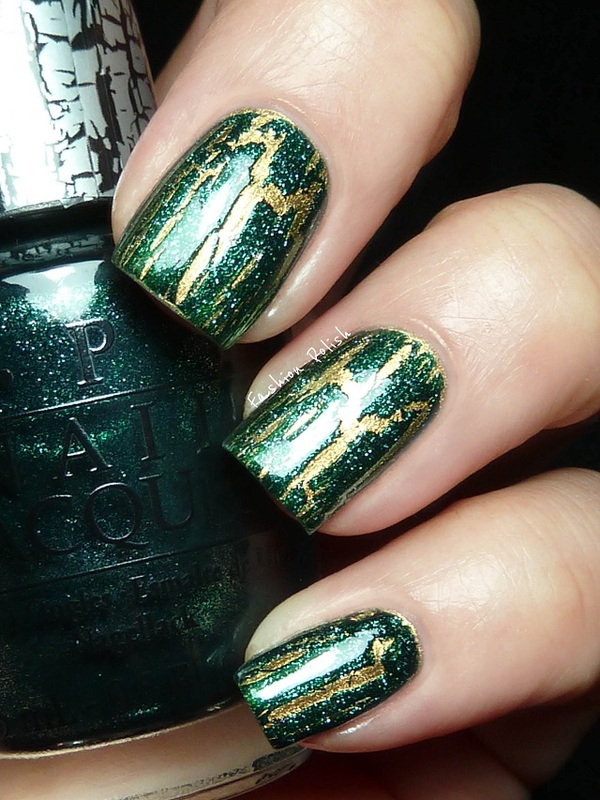 Shatter the Scales is a dark green shimmer with little silver particles. It dries to a matte finish and definitely cracks very nicely but I'm not so sure about it. I think it would rock over a dark green jelly. Number One Nemesis is calling my name! Gorgeous swatches as usual! I love Into the Night! When I first saw this collection I was not impressed, but now, that I see your pictures, the nails polishes in your nails, i'm in love by them. I am not really thrilled by this collection. The colors are nice but none of those is a must-have for me. My favorites would be Into The Night and Number One Nemesis though. Great swatches as always Sam! I picked up the mini set of this collection, and I also looove Number One Nemesis. 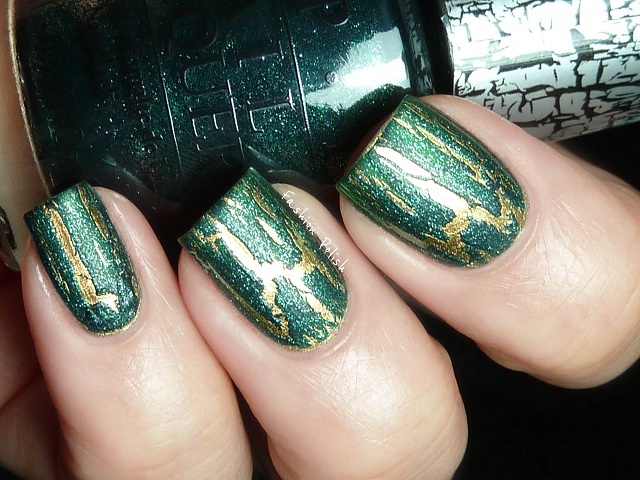 It's like molten metal on your nails, it's amazing!